Any fettuccine fan can attest to the fact that it’s hard not to feel happy when digging into a plateful of creamy noodles. But with butter, heavy cream and refined white pasta heading up the ingredients list, the dish can be a dietary disaster for body and mind. 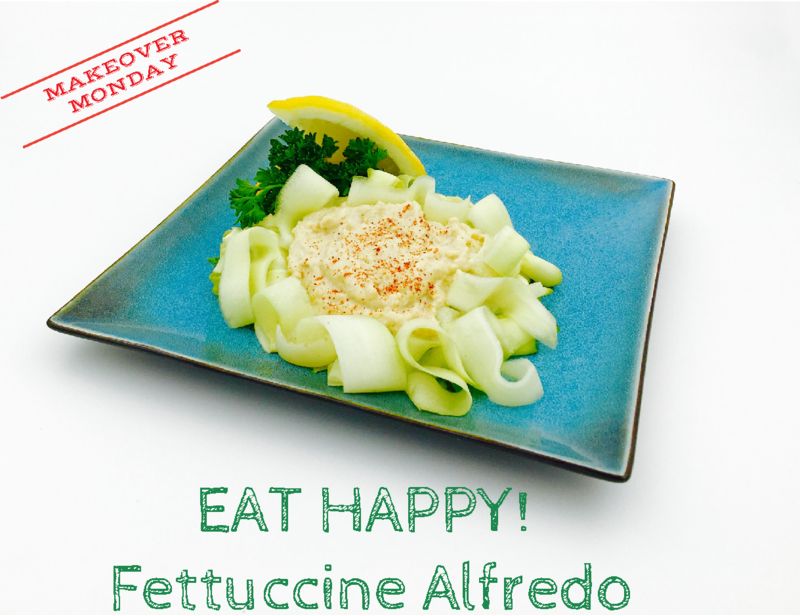 This week’s Makeover Monday is a raw* recipe that makes getting our fettuccine fix not only quick ( Macadamia nuts are the superstar of this savory sauce and are a rich source of omega-3s, which ease anxiety, and are heavy in heart-healthy monounsaturated fat which lower LDL (“bad” cholesterol) levels and blood pressure. A Pennsylvania State University study showed that people who added macadamia nuts to their diets had significantly reduced triglyceride levels, total cholesterol and LDL. Zucchini co-stars in this rich dish and is a nutritional powerhouse in its own right, containing vitamin C, potassium, manganese and vitamin B-6, all of which have been linked to health benefits and a sunnier disposition. Having olive oil in the mix with its well-known health and happiness benefits in addition to the added boost from lemon and garlic make this delish dish delightful for body and brain. 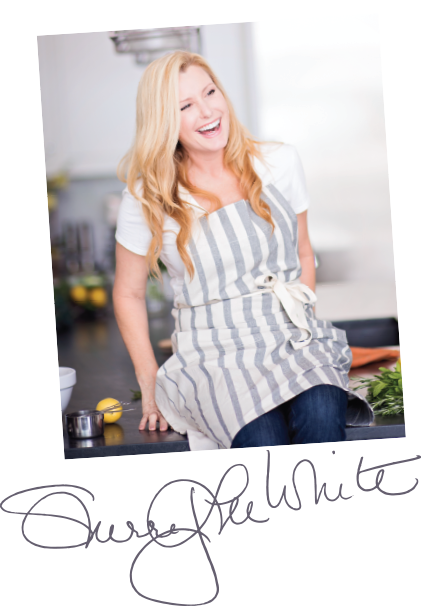 Swapping refined white pasta for zucchini noodles (in photo) or another healthy alternative like Tolerant’s Organic Red Lentil Pasta or Explore Asian’s Organic Edamame Pasta ups the ante even further, enhancing the good food – good mood effect. Use a vegetable peeler to create thin slices of zucchini that resemble fettuccine noodles (as pictured) and plate these or cooked noodles of choice. Add all other ingredients to food processor and blend for 90 seconds or until smooth. Pour over zoodles or pasta and serve immediately. Enjoy ? *Raw attraction: If you’ve been thinking about giving eat raw a whirl, this tasty twist on fettuccine become a scrumptious step in that direction when you use zucchini ribbons as the pasta.